On this anniversary of Sheb-i Arus (Rumi’s night of Divine Union with his Beloved) I am deeply saddened by the unbearable suffering of people in Syria and my homeland Anatolia as well. During Rumi’s years in Konya in the 13’th century Anatolia was under Mongol occupation and there were severe social and economic problems. In today’s Anatolia there are severe problems as well. People of Anatolia live with the constant stress of frequent terrorist attacks, military coups, religious and cultural wars. People in the West sometimes forget that Turkey is hosting 3 million Syrian refugees. In the United States politicians are debating whether to allow few thousand Syrian refugees. This is ridiculous! Surely the United States can absorb many more Syrian refugees. Europe can absorb more refugees as well. With the exception of Germany other European countries are shaming themselves before history for not doing enough towards the solution of the Syrian refugee crisis. The geopolitics of Mesopotamia (Anatolia, Syria, Iraq) is just too complex for simplistic analyses and solutions. In that region geopolitical struggles will never end. This is not an excuse for the rich nations of the world to ignore the humanitarian crisis. If United States and Europe claim to be the moral leaders of the world they should act like moral leaders. 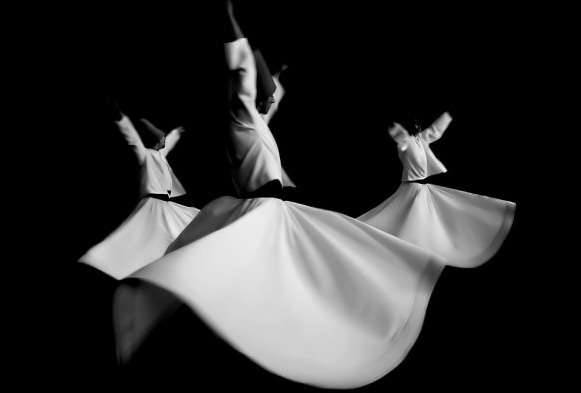 This entry was posted in spirituality, sufism and tagged Rumi. Bookmark the permalink.